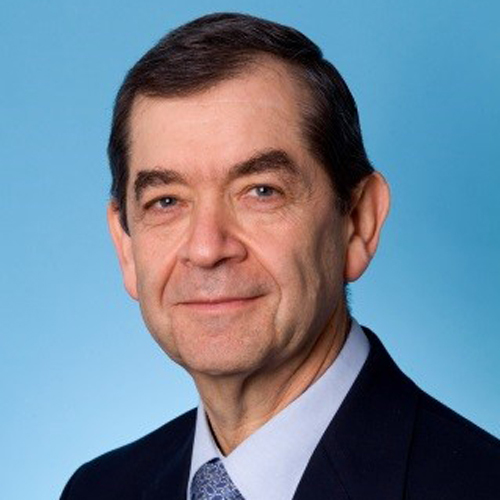 Eric N. Faerber, M.D., FACR is a renowned pediatric radiologist and Professor of Radiology and Pediatrics at Drexel University College of Medicine who recently retired as Director of Radiology at St. Christopher’s Hospital for Children. He received his medical degree from the University of the Witwatersrand in Johannesburg, South Africa. His initial radiologic training was at Guy’s Hospital, London and Baragwanath Hospital, South Africa. He subsequently completed Fellowships in Neuroradiology and Pediatric Radiology at Tufts-New England Medical Center in Boston. He accepted an attending position in Radiology at St. Christopher’s Hospital for Children in 1980 and served as the Director of the Department from 1992-2015. He was president of the SCHC Medical Staff from 2005 to 2007 and as Chair of the SCHC IRB for the 7 years prior. Dr. Faerber has authored or coauthored 85 papers, 37 book chapters, 69 poster presentations and 6 books on Pediatric Neuroradiology and Angiography. He is the current co-editor of the CNS Section of Caffey’s Pediatric Diagnostic Imaging (fondly known as the “bible” of Pediatric Radiology). Additionally, he is a reviewer for seven pediatric and radiologic journals. He has received numerous teaching awards and was the first pediatric radiologist to receive the Mary Fisher Outstanding Educator Award from the Philadelphia Roentgen Ray Society. Additionally, he is a member of Alpha Omega Alpha Honor Society and has been listed in “Best Doctors in America” and Philadelphia Magazine “Top Docs”. In 2015, Dr. Faerber received the Lifetime Services Award from the American Board of Radiology. Dr. Faerber has served numerous leadership and committee roles throughout his career. He has been an active member in a number of national and regional radiological societies, including the John Caffey Radiologic Society (president for the past 15 years), the Philadelphia Roentgen Radiology Society (president, 2003-04), the Executive Committee of the Pennsylvania Radiologic Society (president, 2011-13) and Chair of the Resident and Fellow Section of PRS. He is a founding member of the American Society of Pediatric Neuroradiology. Dr. Faerber has been councilor/alternate councilor for the PA Chapter of the American College of Radiology (ACR) since 1998 and senior councilor in 2005. He has served as a member of the ACR Guidelines and Standards Committee (chair, 2012-15) and the panel for continuous Professional Improvement of the ACR. He served as a Board examiner for the American Board of Radiology from 1997 to 2014.